Compare and review car loans from over 70 lenders for $36,000 Use our calculator to see repayment amounts for new or used, secured or unsecured auto loans. There's nothing quite like the thrill of buying a car, but one of the biggest challenges is finance. Ideally you'll want a car loan that offers flexibility and a low competitive rate, and is easy to apply for. Exit / early repayment fee$205 or 2% of outstanding balance (whichever the greater) at the time the final payout is made. Applies in the first three quarters of the original loan term only. Comparison rate is calculated on a loan amount of $30,000 secured over a term of 5 years based on monthly repayments. WARNING: This comparison rate is true only for the example given and may not include all fees or charges. Different terms, fees or other loan amounts might result in a different comparison rate. Costs such as redraw or early repayment fees and cost savings such as fee waivers are not included in the comparison rate, but may influence the cost of the loan. NRMA used car loans can help you get one step closer to owning your dream pre-loved car. An Arab Bank Australia Personal Loan is a great way to purchase the car you want or need now, if you currently don't have the savings or cash to make your purchase. The comparison rate is based on a loan amount of $30,000 and is calculated over a term of 5 years based on monthly repayments. This Comparison Rate applies only to the example or examples given. Different amounts and terms will result in different Comparison Rates. Costs such as redraw fees or early repayment fees, and cost savings such as fee waivers, are not included in the Comparison Rate but may influence the cost of the loan. Comparison rate calculated on unsecured loan amount of $30,000 over a term of 5 years based on monthly repayments. WARNING: This comparison rate applies only to the example or examples given. Different amounts and terms will result in different comparison rates. Costs such as redraw fees or early repayment fees, and cost savings such as fee waivers, are not included in the comparison rate but may influence the cost of the loan. We have dropped the rate on our 5 and 6 year loan terms. Comparison based on an unsecured $30,000 loan over 5 years. Different amounts and terms will result in different comparison rates. Costs such as redraw fees or early repayment fees, and cost savings such as fee waivers, are not included in the comparison rate but may influence the cost of the loan. Make your dreams come true with a car loan that offers maximum flexibility. Our Flexi Car Loan is available for the purchase of new and used cars. The comparison rates are calculated for a secured loan of $30,000 with monthly repayments over a term of five years. This comparison rate applies only to the example or examples given. Different amounts and terms will result in different comparison rates. Costs such as redraw fees or early repayment fees, and cost savings such as fee waivers, are not included in the comparison rate but may influence the cost of the loan. The variable rate personal loan is unsecured. 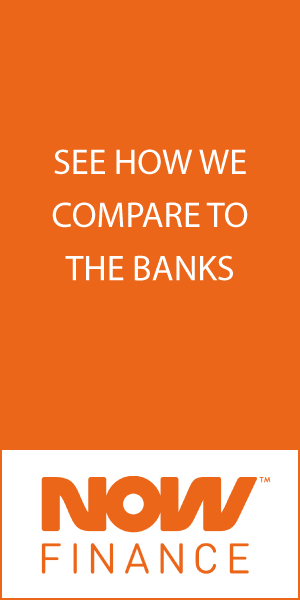 Comparison rates are based on a secured loan of $30,000 with monthly repayments over a term of 5 years. WARNING: These comparison rates are true only for the examples given and may not include all fees and charges. Different terms, fees or other loan amounts might result in a different comparison rate. With all the great features of our new car loan, this loan is designed for used cars over 5 years old. Comparison rate calculated on a loan amount of $30,000 over a term of 5 years. WARNING: These comparison rates are true only for the example given and may not include all fees and charges. Different terms, fees or other loan amounts might result in a different comparison rate. If approved, we will confirm your actual interest rate in your loan contract.